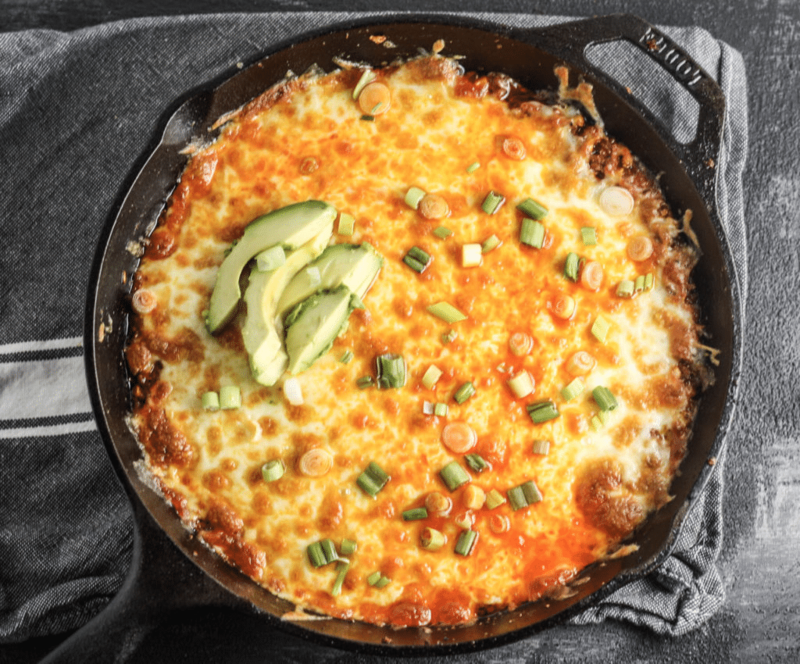 This Cast Iron Cheesy Chorizo Dip is the perfect way to warm up back at camp after a long day outdoors. Bonus it can be made in a Cast Iron pan over the campfire or on a stove. One of our camp traditions is to always play games around the table and munch on stuff. It’s a sort of “happy hour” if you will although I’ll admit it usually lasts longer than an hour. It’s more of a “happy night” in this case. This is a great recipe for happy hour or happy night or whatever other time it is. You can cook it over the camp fire on a grate or just cook it on the stove and it couldn’t be easier! It goes great with chips, bell peppers or just eaten with a fork. In a cast iron, cook chorizo breaking it up into pieces. Once cooked, place on a plate with a paper towel to drain some of the grease. In the same pan, add olive oil and cook onion. Stir frequently so it doesn't burn. Melt in cream cheese and stir, letting it melt. Add in chorizo. Mix well until combined. Add in sour cream and combine. Once all combined, top with monterey jack cheese over the whole thing. Serve with your favorite dippers: chips, bell peppers, carrots, etc. If you don't like sour cream, you can use more cream cheese or use greek yogurt. 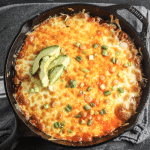 If you don't have a cast iron pan, you can use another oven safe pan or you can cook all the ingredients, mix together and then put in an oven safe dish for baking. Previous articleWhat is an Electric Mountain Bike?